India trip after a long time with things piled around I couldn’t not sit and work on my .com page. Thinking to do after I settle there. In the mean time thought will post some recipes from my draft. For me summer and mango are inseperatable. Last year when the mangoes was about to get over I prepared this. 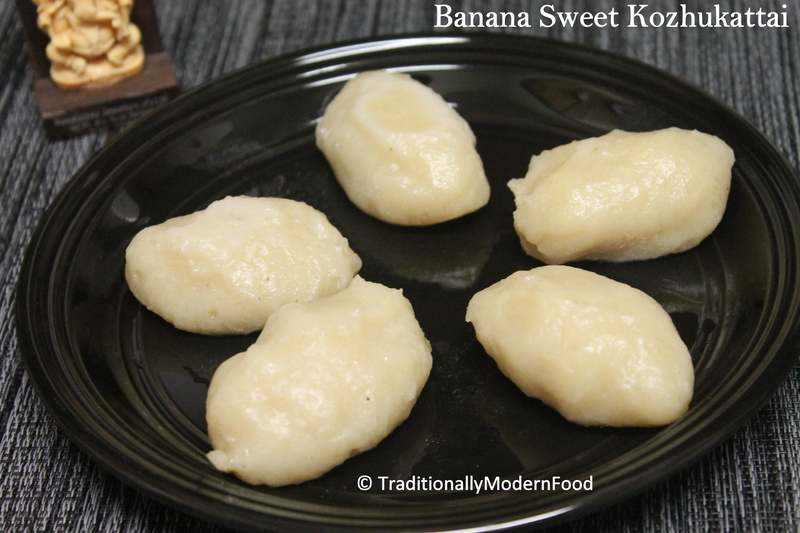 My Mom use to prepare a Mango sweet with milk and corn starch, on stove top. Though it tastes divine, lazy me thinks it is time consuming. 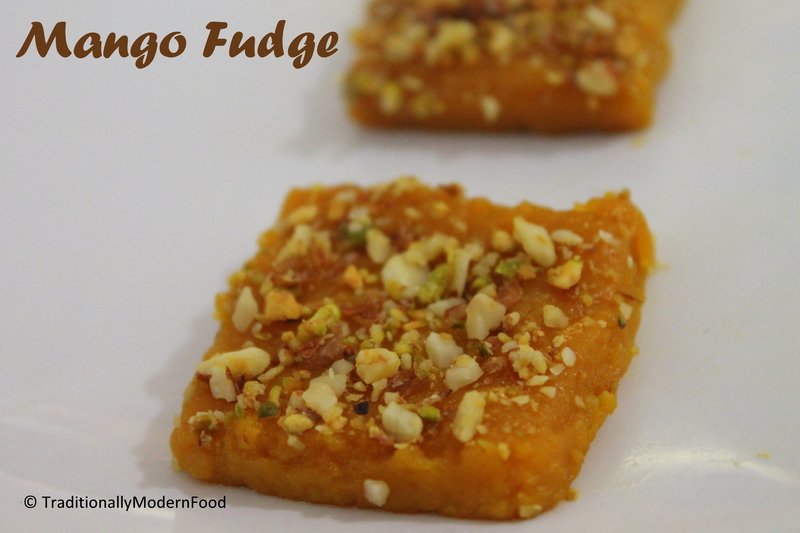 So I tried a simplified version of a Mango Sweet using just a Microwave oven, which I call Mango Fudge. 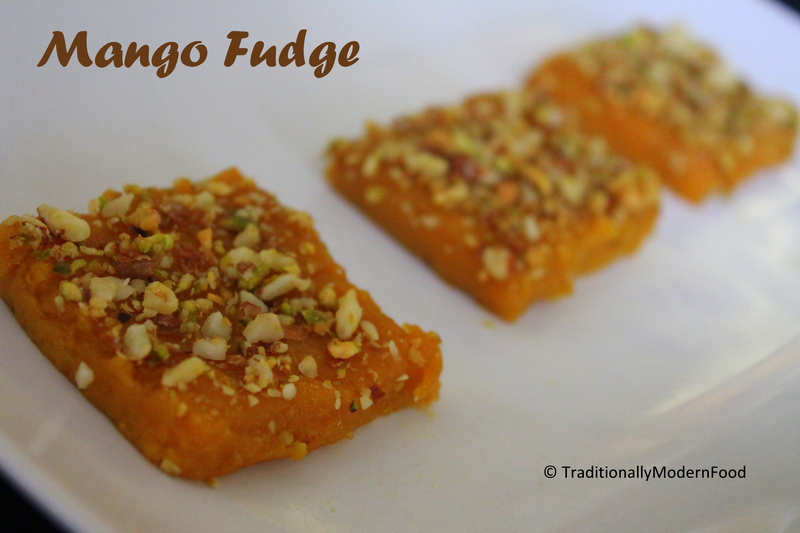 Tasty Mango fudge was ready in 15 minutes! I am not a great cook, nor a great photographer, nor a great writer but my lovely reader and dear blog friends taught me those are not absolutely essential. Thank u all for visiting, reading and commenting in my space. 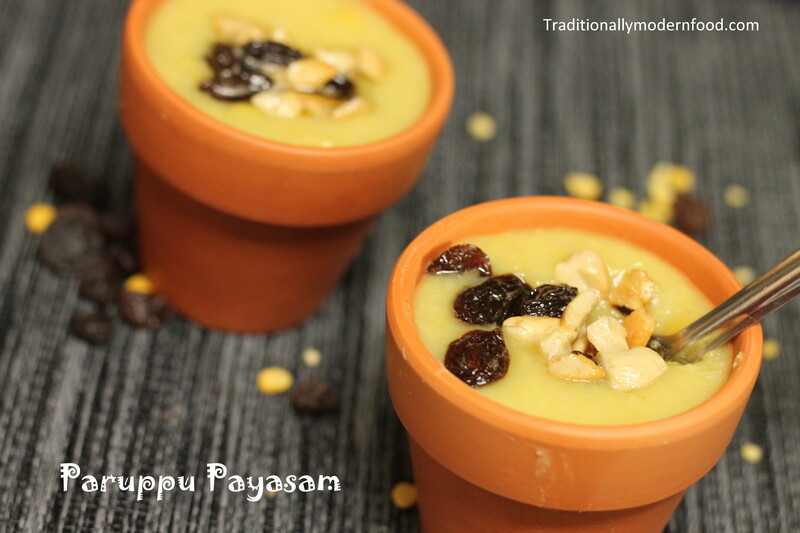 Paruppu payasam is one of the most common payasam prepared during many festivals. 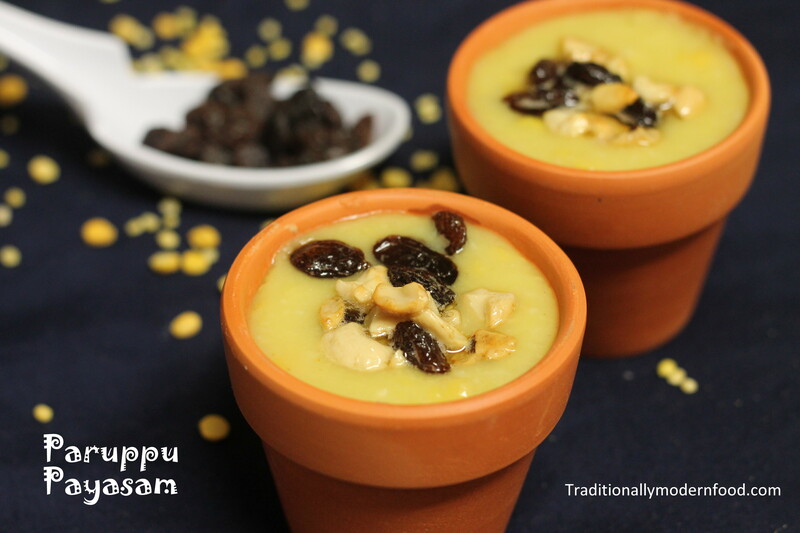 The blend of protein rich lentils with jaggery (iron) and calcium (milk) is perfect for kids and Adults. 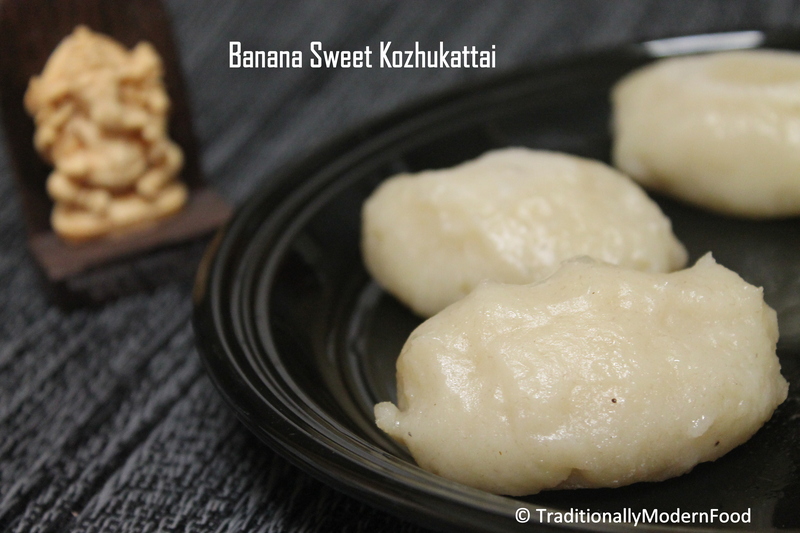 Kozhukkatai is a traditional south Indian delicacy prepared in both sweet and savory versions. There was a stage when my son started preferring foods which he can hold and eat. 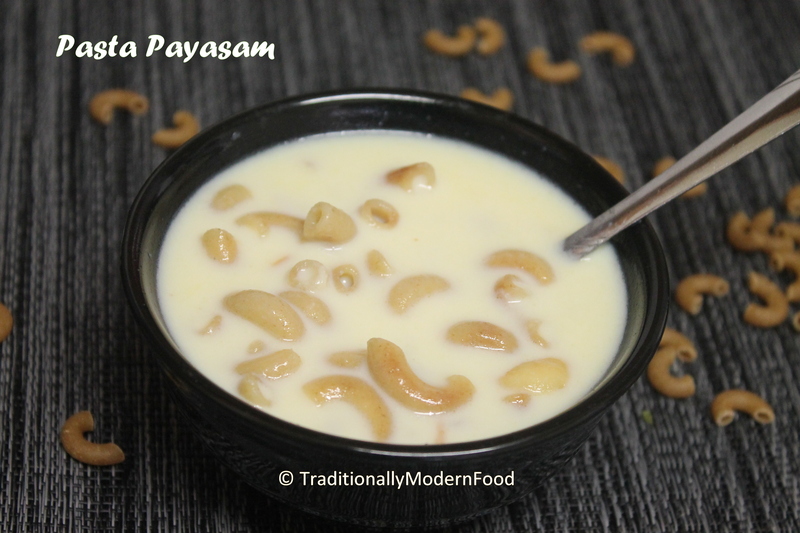 Paniyaram was my instant saver on many days. 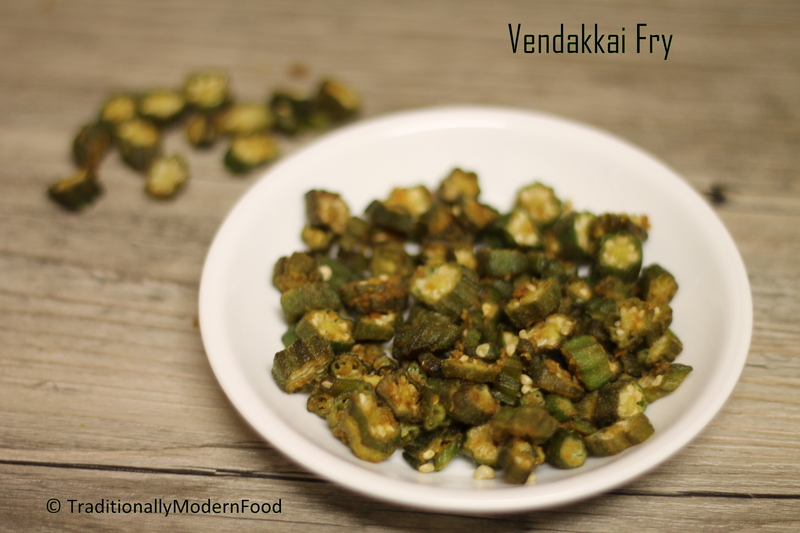 One day I prepared Savory pidi Kozhukattai for us and he liked. 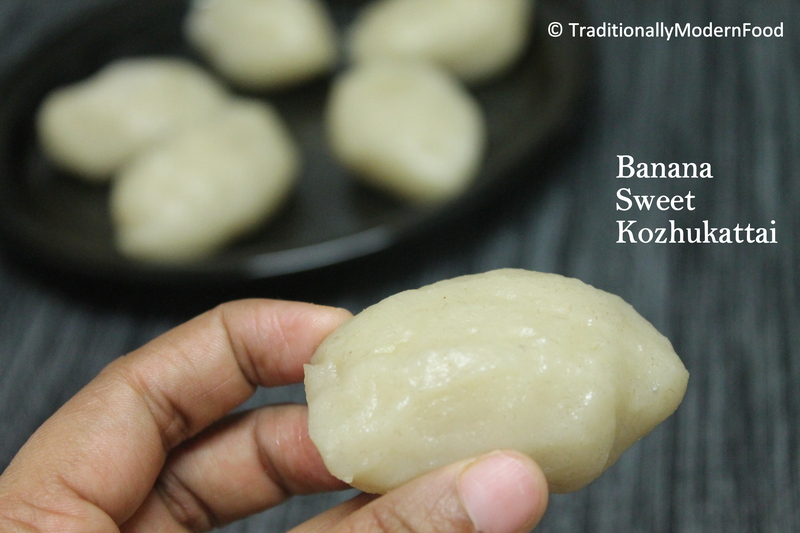 Knowing the fact he loves sweets and to include banana into his diet, generally I prepare sweet pidi Kozhukattai with jaggery and banana. 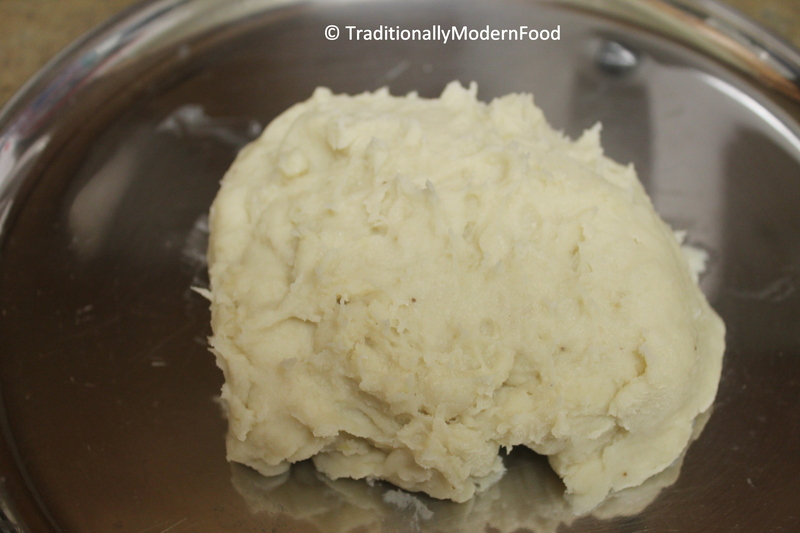 Grease the idli mould with little oil. 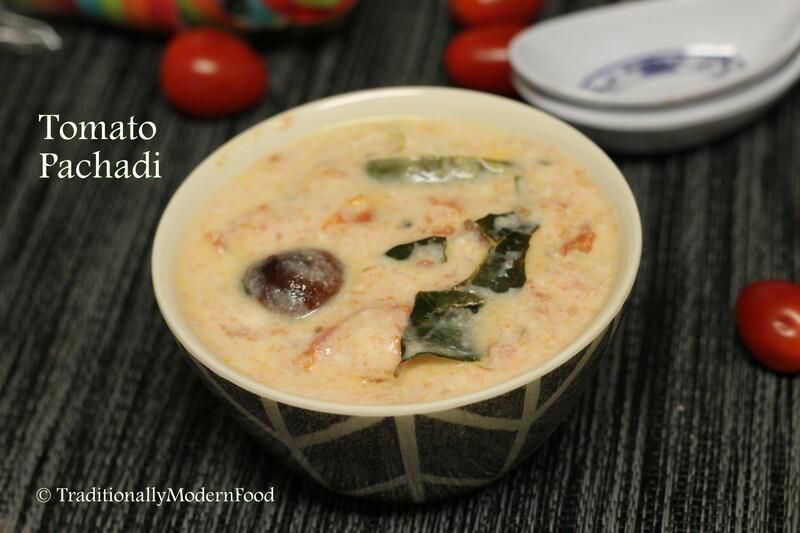 Steam kozhukattai in idli stand or pressure cooker for 8 to 10 minutes. Both my husband and I love pasta, and now a days even my little one started liking Mac & Cheese. Every time I open a pasta packet I wouldn’t finish it and have some leftover. To finish the remaining uncooked pasta, I end up buying same variety of pasta again. 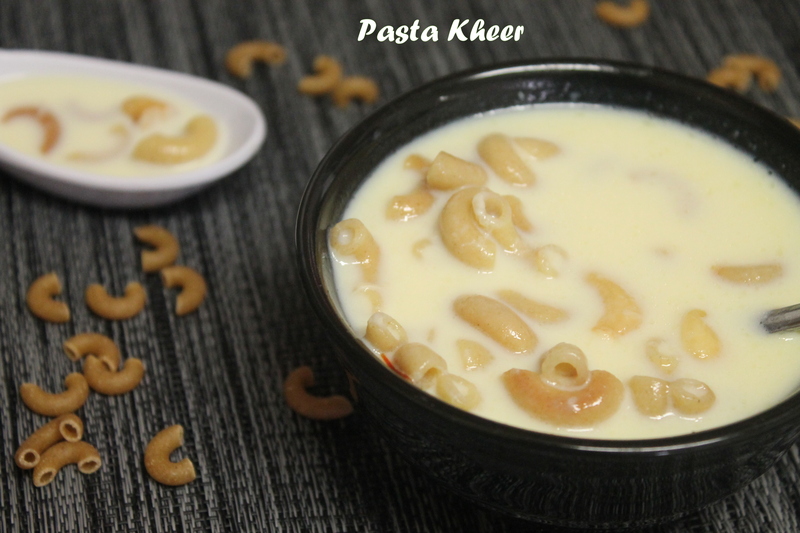 Other day I felt like having payasam and searched for semiya, suddenly pasta pulled my attention and tried payasam with pasta. It was a big hit at home. 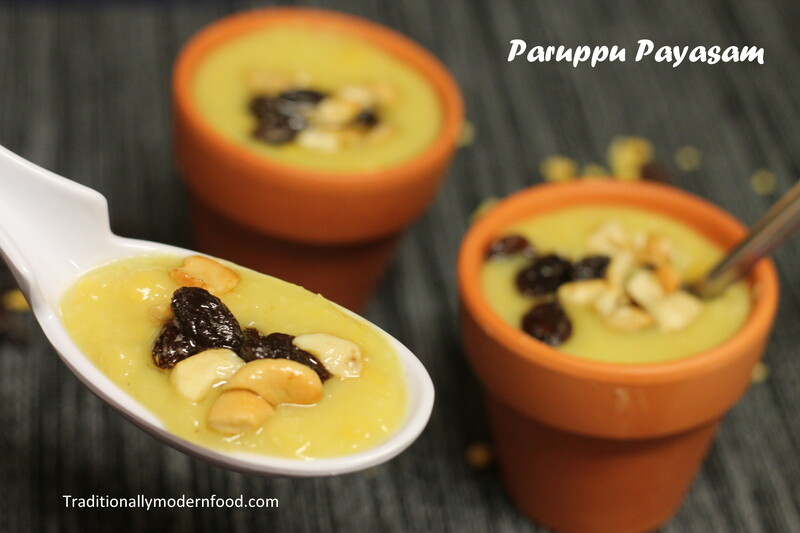 Add saffron, condensed milk, sugar, cardamom powder and salt, continue cooking for 4 – 6 minutes and switch off. 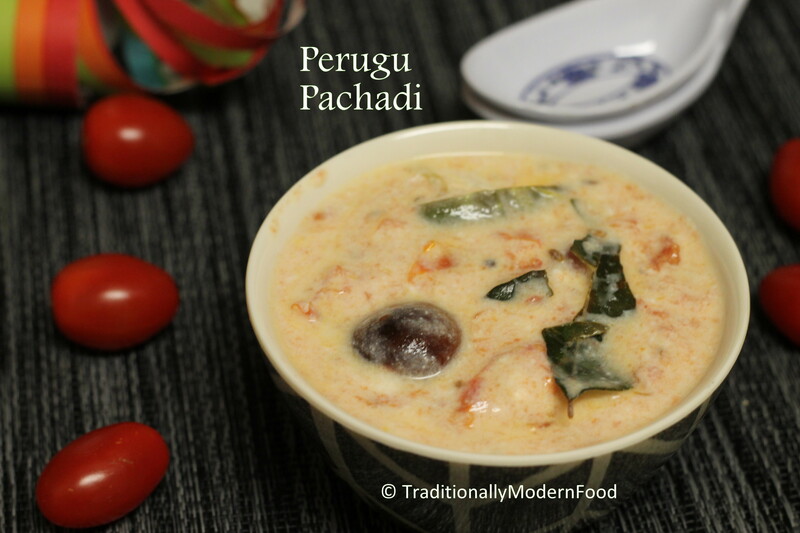 Can serve immediately or chill this overnight and serve it next day. 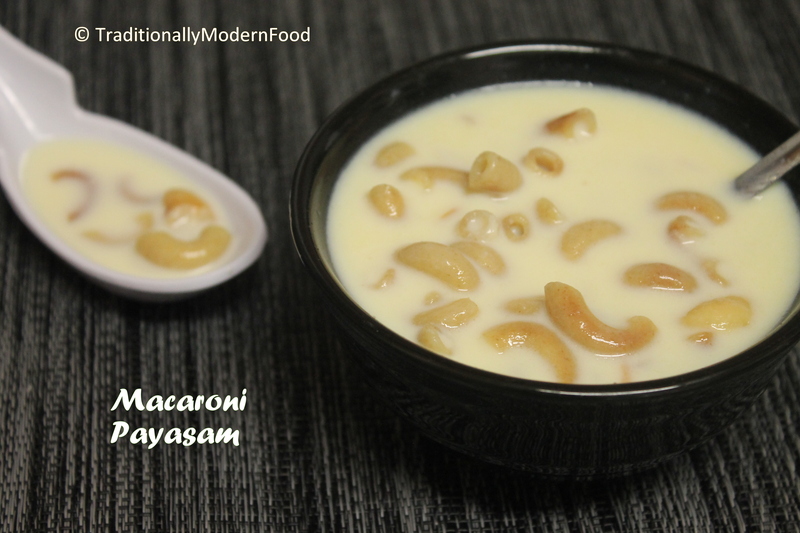 Usually I add cashew and raisin for payasam but other day missed to add while taking picture so I didn’t write in my recipe! 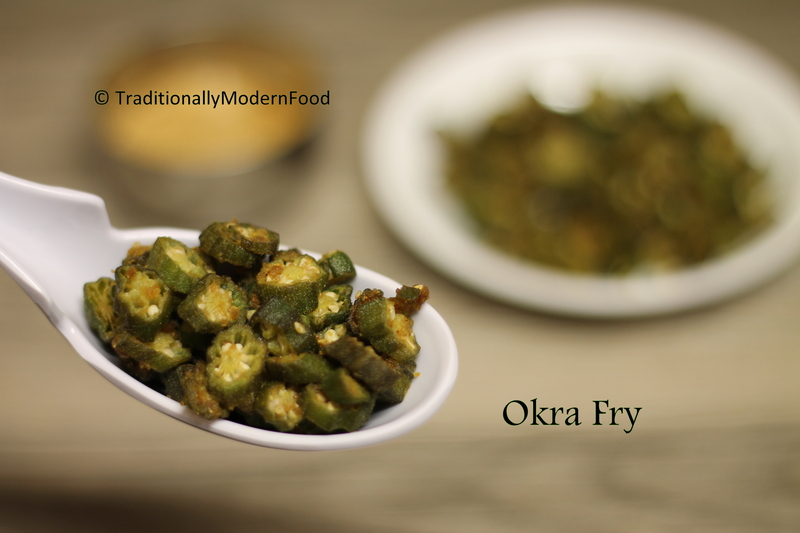 Hello to the amazing foodies at Traditionally Modern Food. I feel quite honored that Vidya asked me for a guest post. I have been blogging for over five years at THE EATERSPOT, a very multi-cultural blog with recipes for everyone! Preheat the oven to 180C/350F. Line the muffin tins with cupcake wrappers. In a bowl I first mixed the dry ingredients: flour, baking powder and salt. In another bowl, first cream together the sugar and butter. To it add the mashed bananas, eggs,vanilla and the yogurt and mix together. Slowly add the flour mixture to this and mix until combined. If you are adding chocolate chips, you can add it now, but its totally optional. 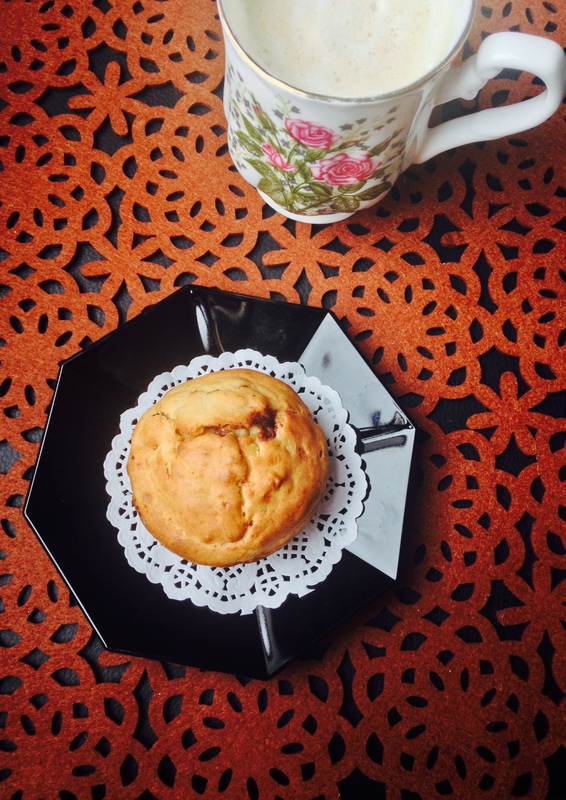 I poured about 1/4 cup worth of battter into each muffin cup, and then baked for around 20 minutes. 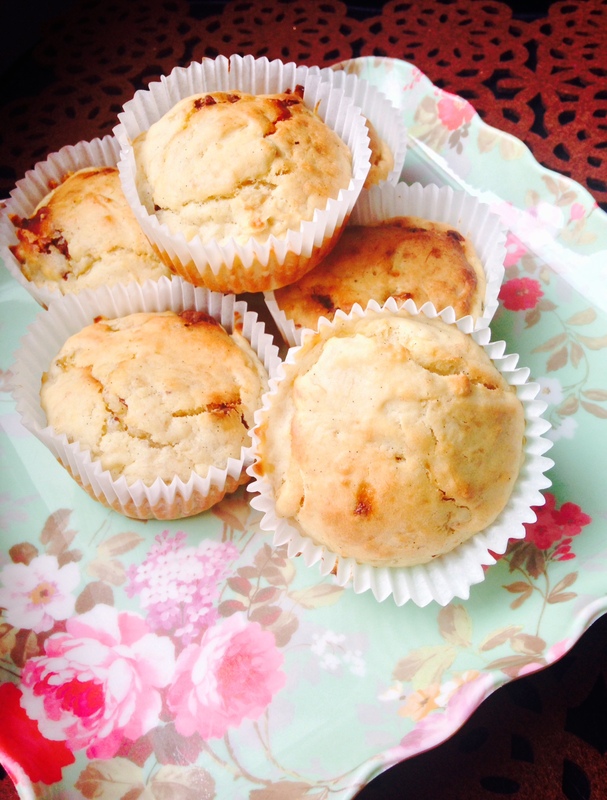 Allow it to cool before taking them out of the tin. Store the leftovers in an airtight container. 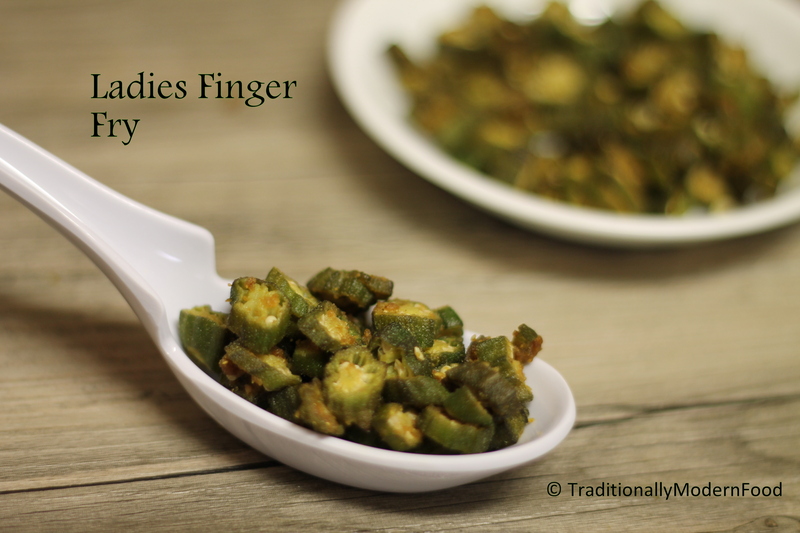 I like them lightly warmed, maybe for around 20 seconds in the microwave and then spread a little butter … yum! yum!